When it comes to life in the National Football League, it has been said a time or two that the acronym “NFL” actually stands for “Not For Long.” We regularly see players, who were once indispensable members of their respective franchises, face the chopping block, and our guess is that we will see a few more notable players get axed this offseason as well. As a result, there are always a handful of big-name players available on the free agent market. With that in mind, here’s a look at seven big-name players who are currently unemployed. Ryan Fitzpatrick is coming off of a career year with the New York Jets in 2015, and yet for some strange reason he remains an unrestricted free agent. He posted a 10-6 overall record and an 88.0 quarterback rating, while throwing for 3,905 yards, 31 touchdowns, and 15 interceptions last year. We can’t really figure out why Fitzpatrick is still available after posting those types of numbers — especially given how quarterback-hungry the NFL has become. Still, we fully expect the former Harvard star to be on an NFL roster — probably the Jets’ — before the 2016 NFL Draft opens in late April. If Greg Hardy didn’t come with a truckload of baggage and off-field issues, he would probably have a multi-year contract in hand that would make him one of the highest-paid defensive players in the game. As it is, the 27-year-old defensive end is unemployed and will likely have a difficult time convincing another team to take a chance on him. We, along with most people who cover the NFL, expected Andre Johnson to do big things in 2015 with Andrew Luck and the Indianapolis Colts. As it turns out, the future Hall of Famer’s lone season with the Colts was wildly underwhelming. As a result, there isn’t much of a market for Johnson right now. If he ends up continuing his NFL career, expect to see him land with a Super Bowl contender like the New England Patriots. Staying healthy has been an issue for Arian Foster for most of his seven-year NFL career. However, when he is at full strength (or close to it), the former Tennessee Volunteer is one of the best running backs in the business. The 2010 NFL rushing champion recently visited the Miami Dolphins, but left without a contract offer — likely because of his injury history. While he will be coming off of a torn Achilles tendon injury that he suffered in 2015, we are still confident that Foster will play somewhere in the NFL in 2016. Antonio Cromartie was a salary cap casualty of the New York Jets this offseason, and for reasons unbeknownst to us, he remains unemployed. While his days of being one of the highest-paid cornerbacks in the game are likely over, we are confident that the four-time Pro Bowler won’t be out of a job for long. Expect to see Cromartie find a home right around the start of training camp. 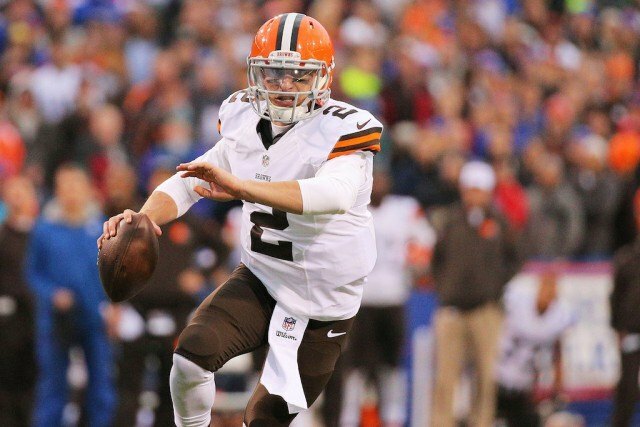 A lot has been said and written about Johnny Manziel getting cut by the Browns this offseason, and at this point, it’s unclear whether or not the 2012 Heisman Trophy winner will get another chance to be a starting quarterback in the NFL. There’s no denying that Manziel is a talented athlete, but he is also a young man who could clearly benefit from a little professional guidance and possibly a mentor who could help steer him in the right direction. Nonetheless, our guess is that we haven’t seen the last of the 23-year-old signal caller in an NFL uniform. All signs point toward Anquan Boldin wanting to continue his NFL career in 2016. The 35-year-old wide receiver already has a Hall of Fame-caliber resume, and he proved in 2015 that he can still play at a high level and help a team win games. He has already visited with the Washington Redskins, and we wouldn’t be surprised if two or three more teams kick the tires on Boldin this offseason. All said, if he truly wants to play, Boldin will have a job with someone in 2016. NFL: Who Has the Toughest Schedule in 2016?